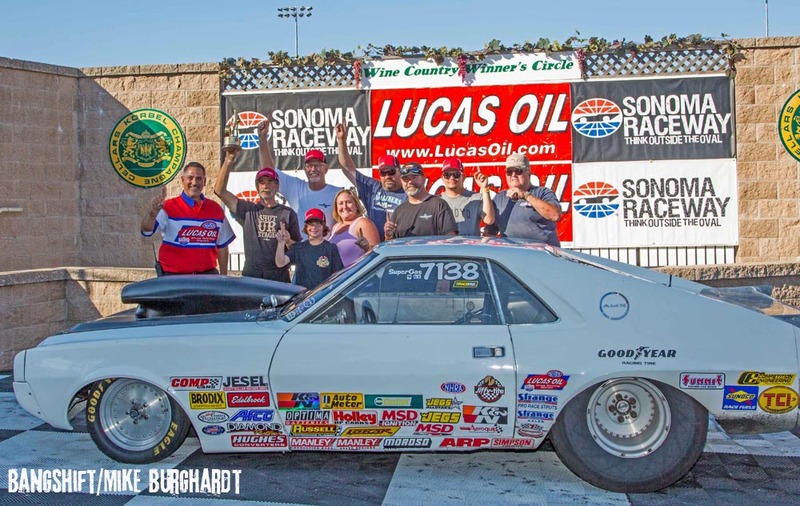 Seven California racers took home wins from the Lucas Oil Drag Racing Series presented by Korbel at Sonoma Raceway over the weekend. 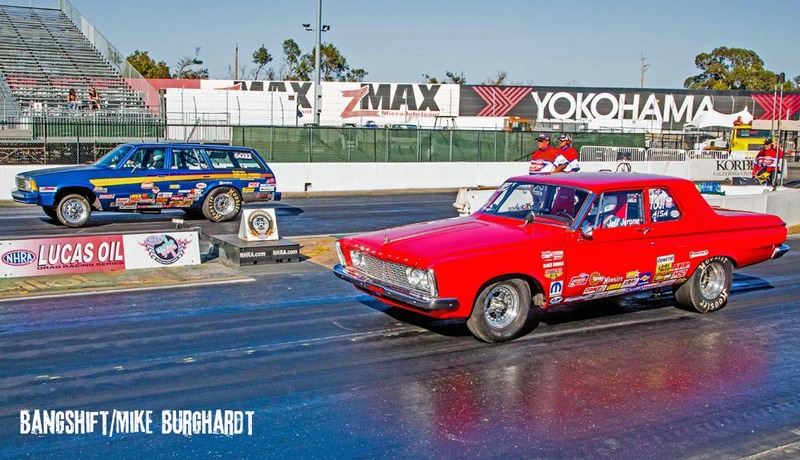 Racers from all over the state were represented in the final rounds making this a golden weekend for NHRA racing in California, all under the watchful eye of Mike Rice NHRA Division Director. 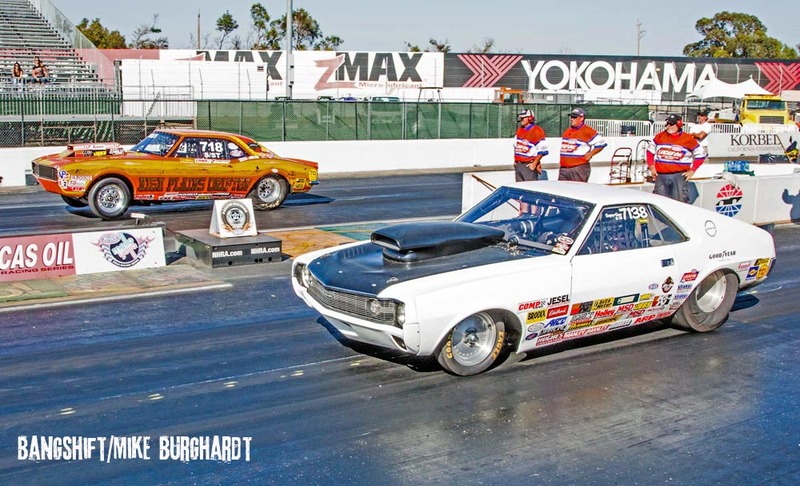 Brentwood, Calif., competitor Jim Grossi Jr., took home the trophy in Super Stock and the second of his career. 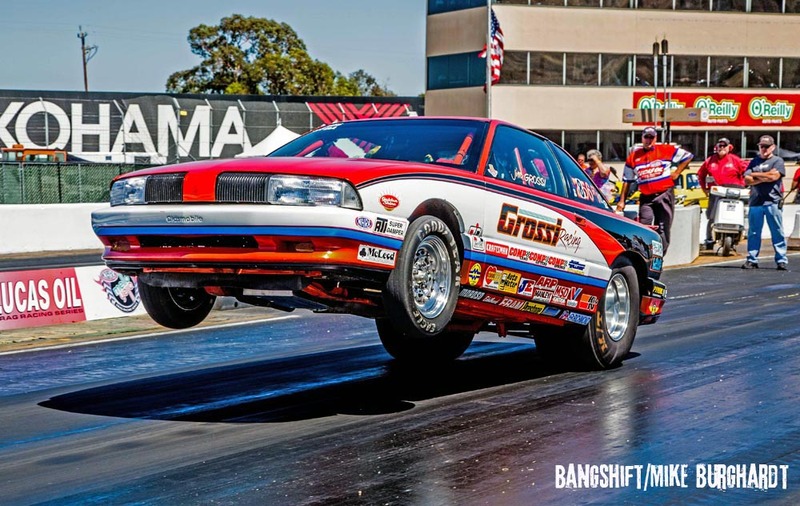 Grossi posted a winning run of 9.725 seconds, 112.50 mph over Dennis Paz, Stockton, Calif., 11.842 seconds, 102.98 mph runner-up finish. Paz had a big starting line advantage, but Grossi took the win with a margin of victory of .0400 seconds, approximately 6 feet. 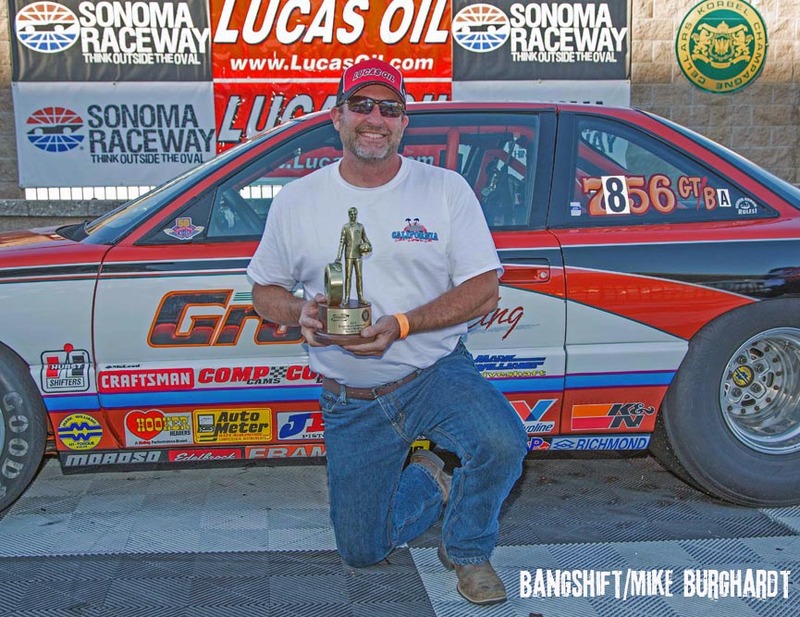 This is a comeback performance for Grossi, who earned his first win in Super Stock in 1997. 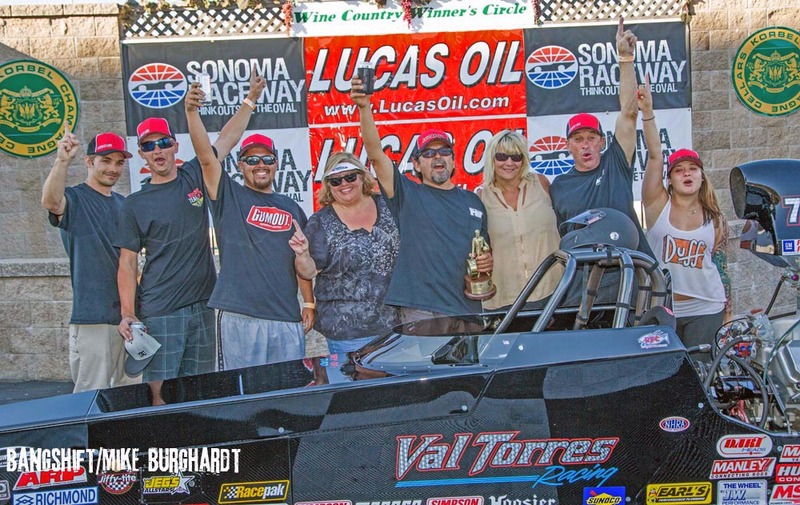 Val Torres, Valinda, Calif., who won here last year, was better off the line posting a 0.013 second reaction time and a winning run of 8.959 seconds, 159.87 mph. Jerry Dean, Olathe, Kan., who was making his first final round appearance, posted a runner up finish of 8.902 seconds, 159.83 mph. 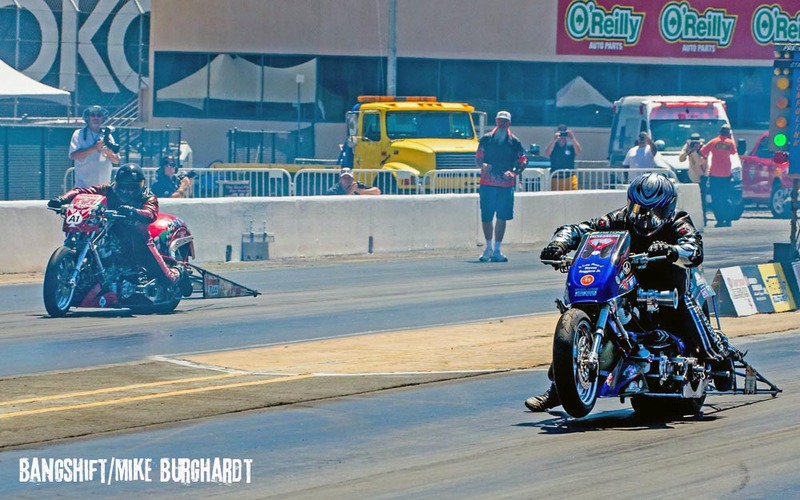 In Super Street, it was a battle of California natives with Joseph Greco, San Jose, Calif. (near lane) , running 10.891 seconds, 146.23 mph and taking the double breakout win. Greco ran closer to the index over Richard Tucker, Acampo, Calif., who posted a 10.869 second, 127.91 mph runner- up finish. 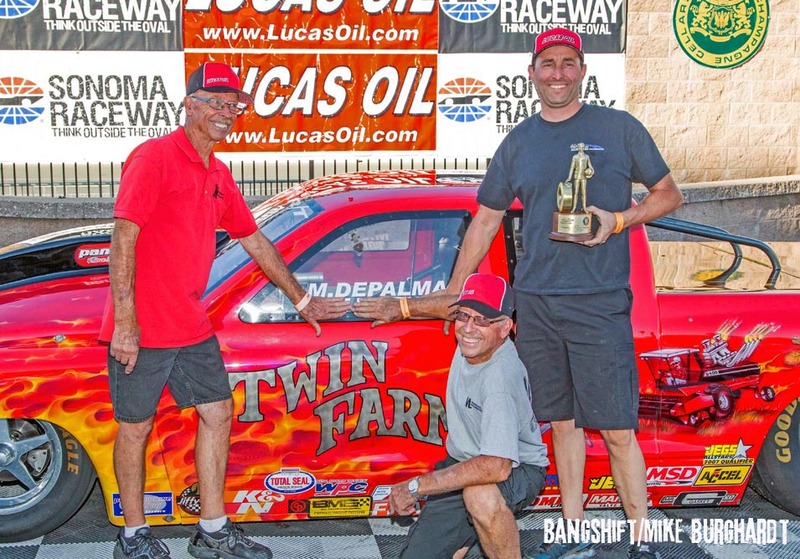 Mike DePalma, Glendale, Ariz. (near lane), finished his run in Comp Eliminator posting a time of 9.044 seconds, 139.70 mph over Scott McClay, Tehachapi, Calif. McClay had been recording great lights in the prior rounds, but he just missed the tree by -0.003 in the final to give the automatic Competition Eliminator win to DePalma. 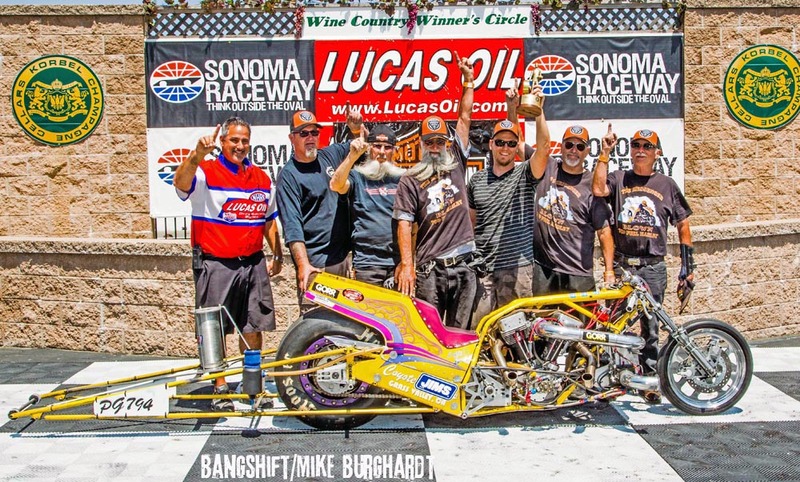 Other racers visiting the winner’s circle this weekend were Greg Harrison, Livermore, Calif., in Super Gas (far lane), and Jody Lang, Puyallup, Wash., in Stock Eliminator. 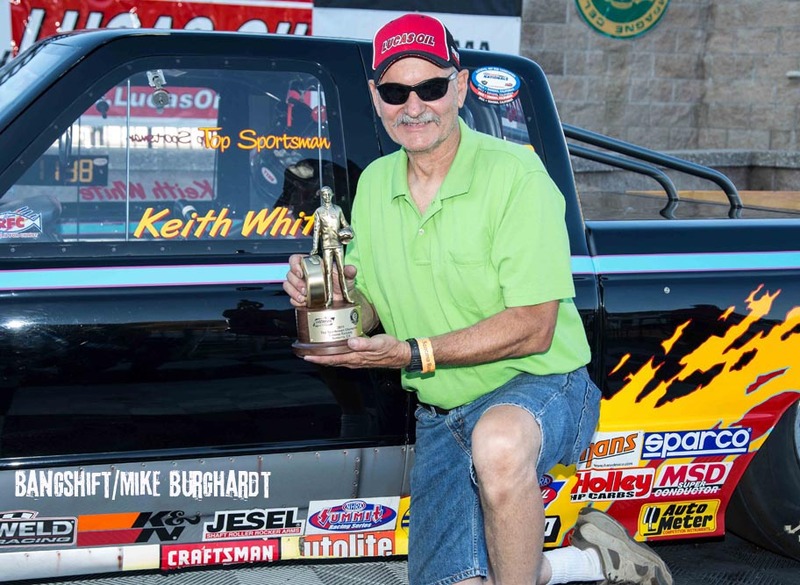 Garrett Richards, Tacoma, Wash., ran 6.031 seconds, at 241.80 mph and took the win in the West Coast Outlaw Pro Mod Series. 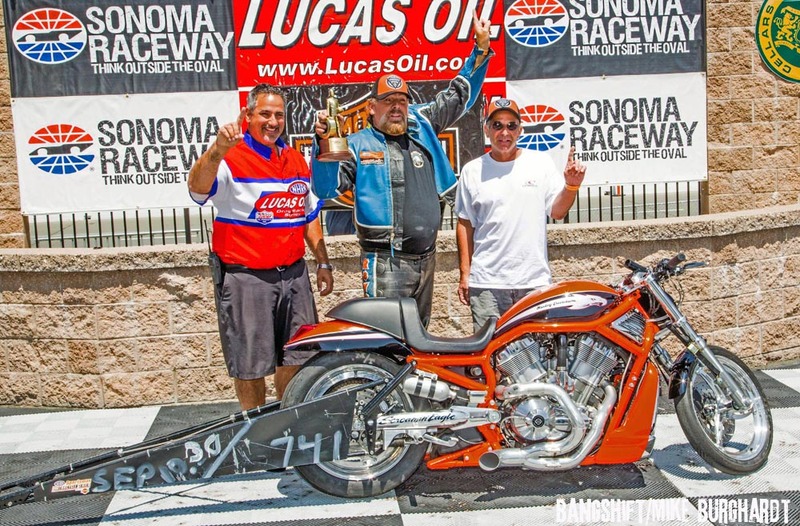 In the division’s Top Sportsman class it was Keith White, Paradise, Calif., taking the win, while Dean Hall, Guerneville, Calif., won in Top Dragster. 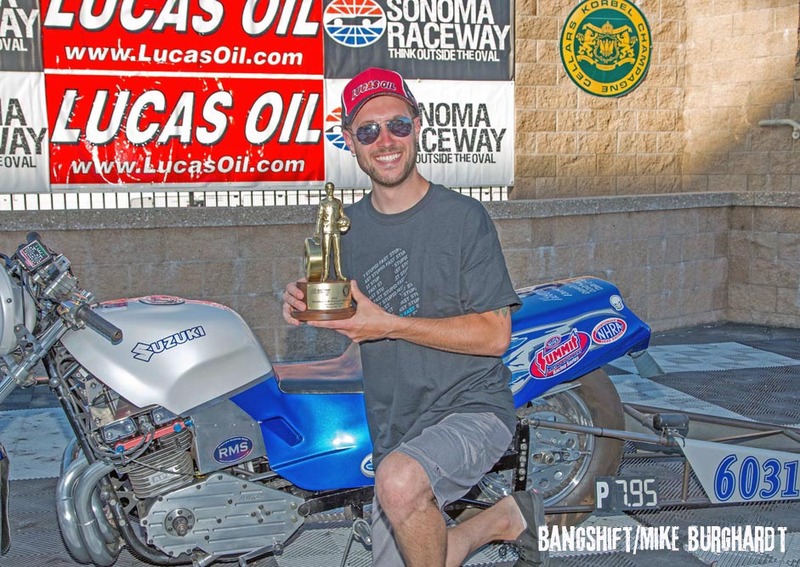 In the Sportsman Motorcycle class presented by Harley-Davidson, Jake Havens, Edmonds, Wash., was first off the line and held the win. 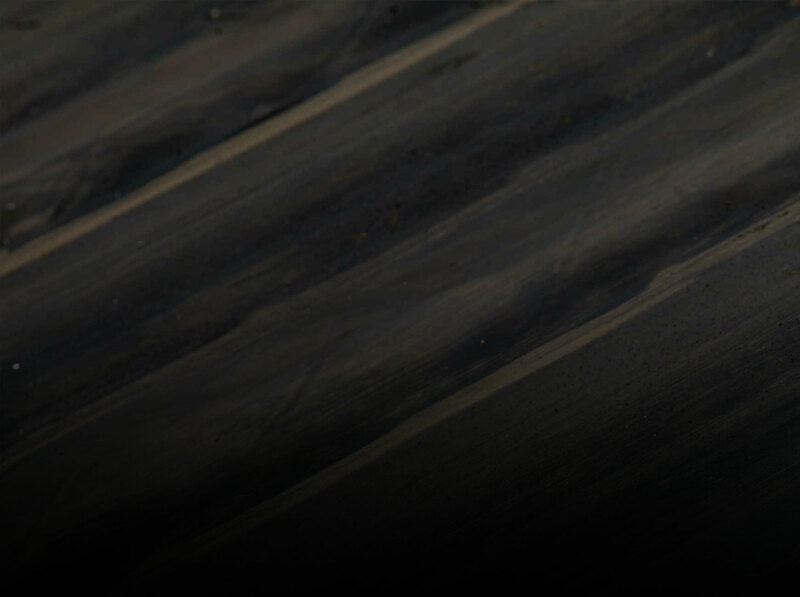 Mike Beland, West Palm Beach, Fla., grabbed the win in Top Fuel Harley over 2014 National Champion Tommy Grimes. 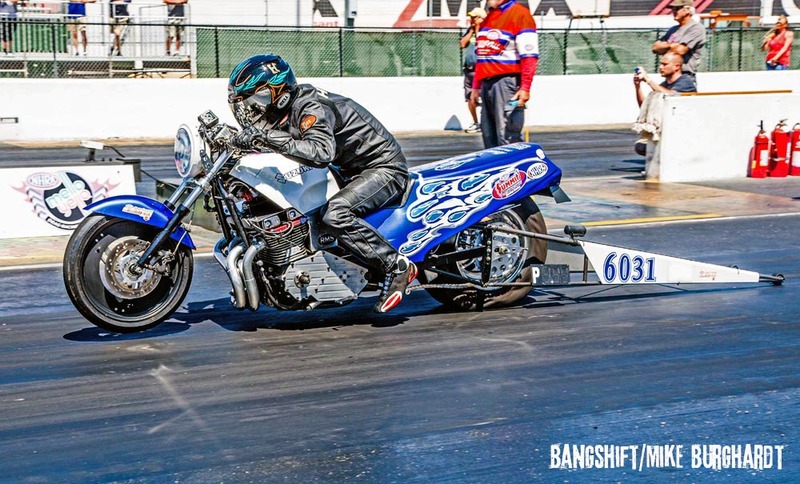 Janette Thornley laid down a 7.328 second 180.40 mph over Dennis Fisher, Dayton, Ohio to capture the Pro Fuel Harley win. 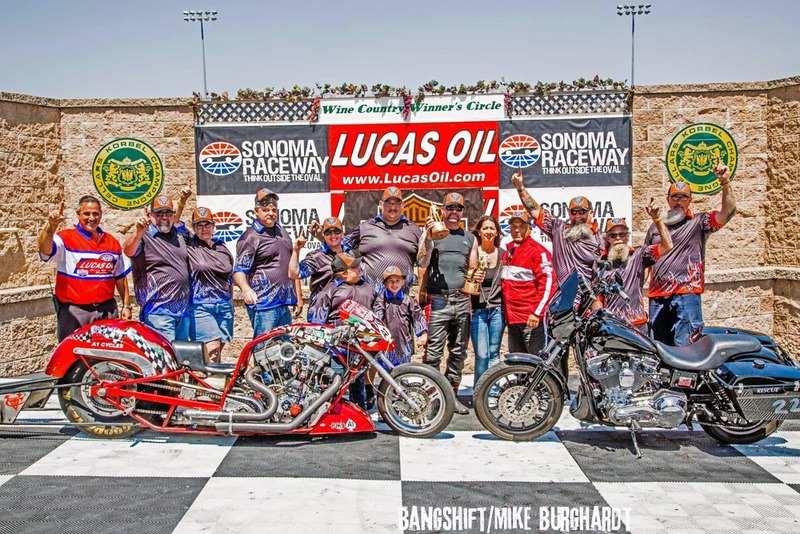 Back in the winner’s circle was Michael Beland, for Hot Street Harley; Dani Grimes, Grass Valley, Calif. took the trophy for Pro Gas Harley; and the Screamin’ Eagle Performance Harley went to John Cabral, Tracy, Calif.
Mike DePalma, Glendale, Ariz., ’01 Dakota, PST, 7.564, 161.77 def. 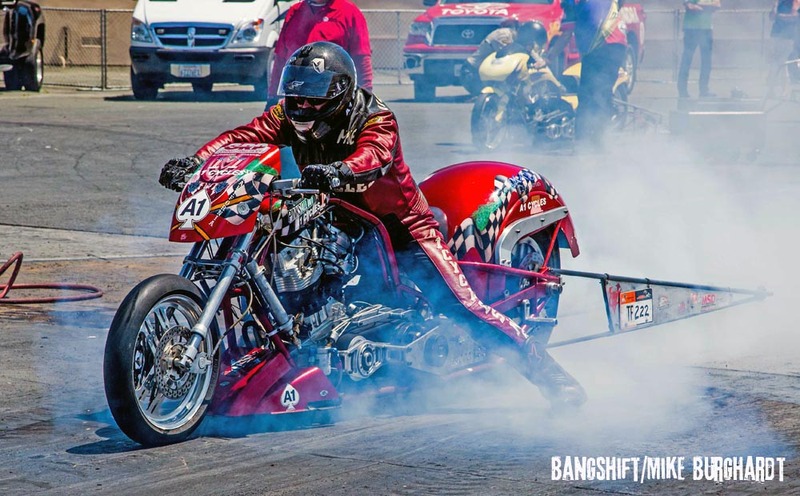 Scott McClay, Tehachapi, Calif., dragster, C/ED, foul. Jim Grossi Jr., Brentwood, Calif., ’95 Achieva, GT/BA, 9.725, 112.50 def. 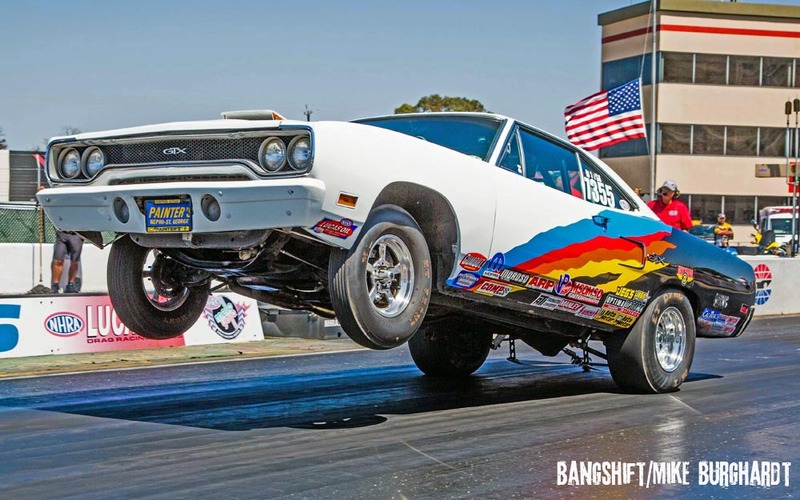 Dennis Paz, Stockton, Calif., ’65 El Camino, GT/MA, 11.842, 102.98. Jody Lang, Puyallup, Wash. (far lane), ’81 Malibu Wgn, L/SA, 12.232, 100.80 def. Jeff Jerome, Los Angeles, Calif., ’63 Savoy, A/SA, 10.243, 127.68. 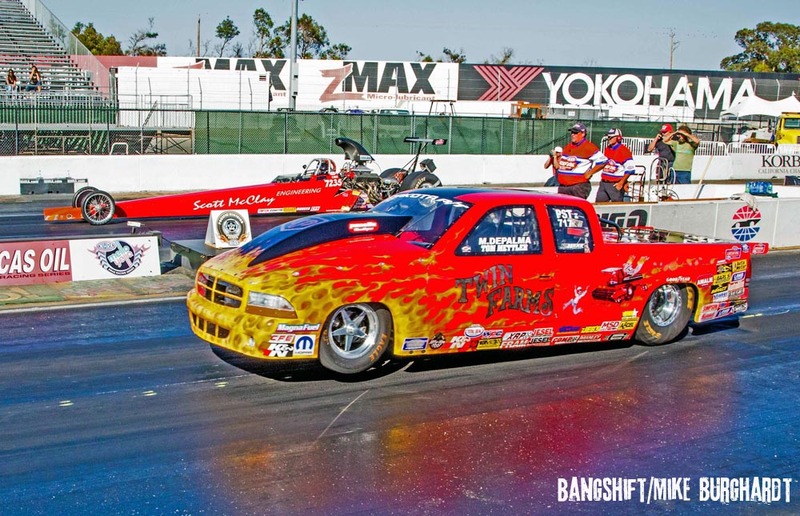 Val Torres, Valinda, Calif., dragster, 8.959, 159.87 def. 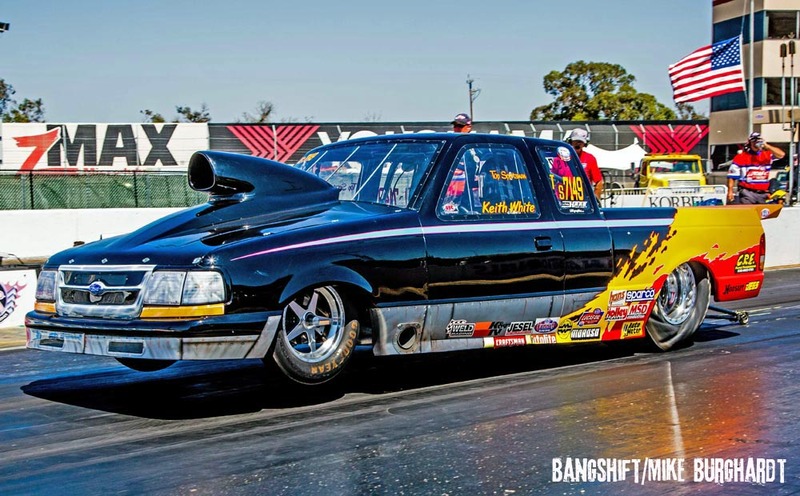 Jerry Dean, Olathe, Kan., dragster, 8.902, 159.83. Greg Harrison, Livermore, Calif., ’63 Corvette, 9.908, 156.97 def. John Whitmore, Mrytle Creek, Ore., ’05 Cavalier, 9.892, 166.31. 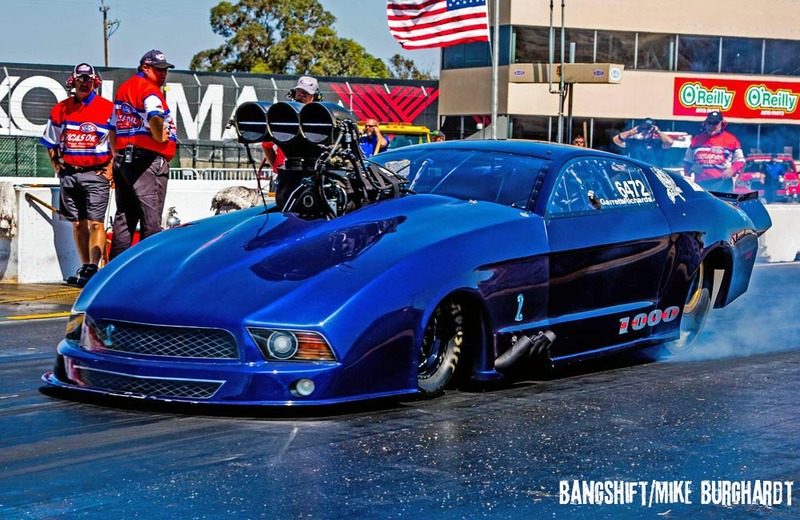 Joseph Greco, San Jose, Calif., ’69 AMX, 10.891, 146.23 def. Richard Tucker, Acampo, Calif., ’67 Camaro, 10.869, 127.91. Keith White, Paradise, Calif., ’98 Ranger, 7.335, 185.97 def. Doug Crumlich, Irvine, Calif., ’96 Corvette, foul. 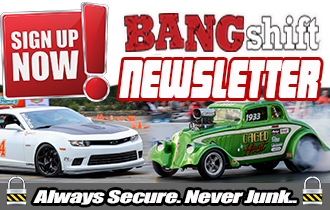 Dean Hall, Guerneville, Calif., dragster, 6.760, 201.73 def. 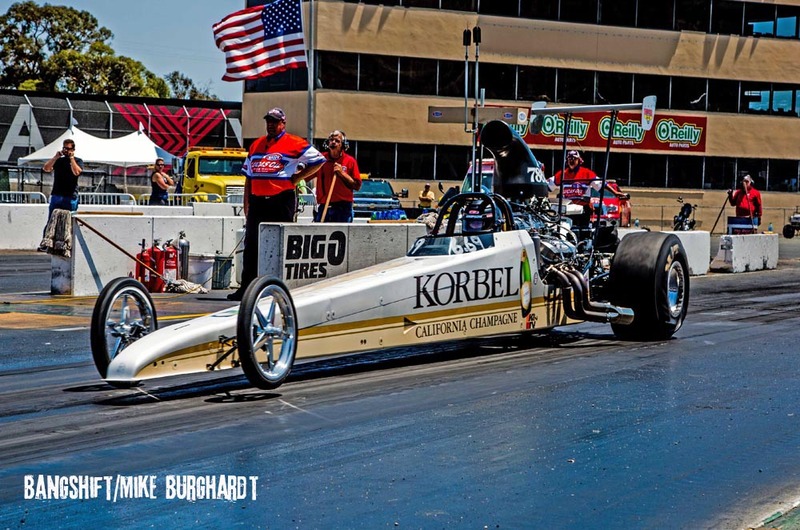 Mike MacBrair, Napa, Calif., dragster, 6.626, 205.54. Garrett Richards, Tacoma, Wash., ’12 Mustang, 6.031, 241.80 def. 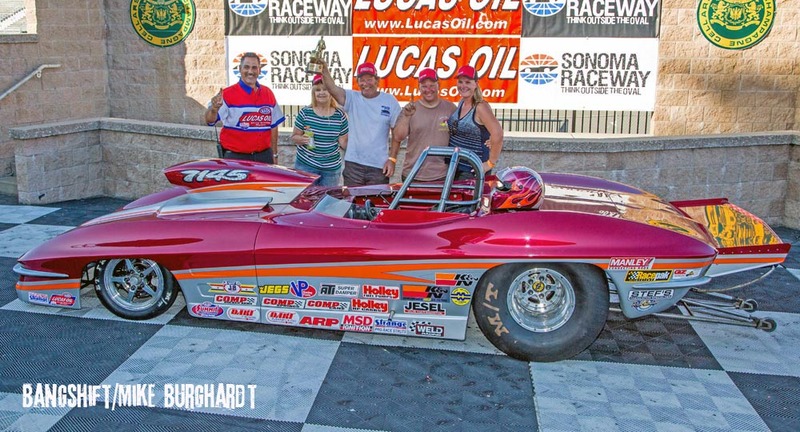 Rob Cacioppo, Orangevale, Calif., ’63 Corvette, 6.037, 234.45. SPORTSMAN MOTORCYCLE PRESENTED BY HARLEY DAVIDSON Jake Havens, Edmonds, Wash., ’95 Suzuki Katana, 8.003, 160.44 def. John Cabral, Tracy, Calif., ’10 Destroyer, 10.599, 98.43. Mike Beland (far lane), West Palm Beach, Fla., ’03 Weekend, broke def. Tommy Grimes, Pfafftown, N.C., ’14 H-D, broke. Janette Thornley, Mocksville, N.C., ’15 HRP, 7.328, 180.40 def. Dennis Fisher, Dayton, Ohio, ’11 PFH, broke. Michael Beland, West Palm Beach, Fla., ’08 Dyna, 12.000, 110.59 def. Denny Alves, El Cerrito, Calif., ’07 Dyna, foul. 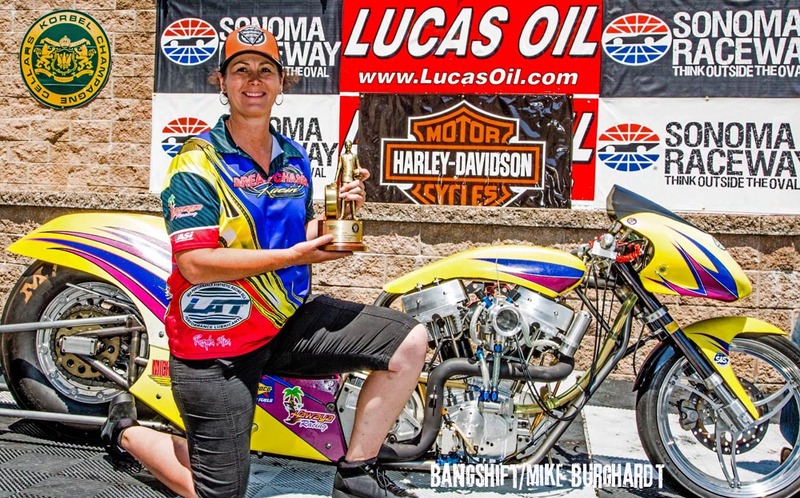 Dani Grimes, Grass Valley, Calif., ’89 H-D, 8.158, 166.05 def. Stan Sheppard, Castro Valley, Calif., ’96 Prostock, 9.279, 132.84. 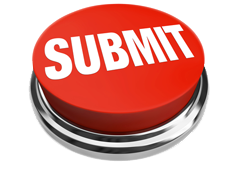 John Cabral, Tracy, Calif., ’06 Destroyer, 10.804, 115.45 was unopposed. 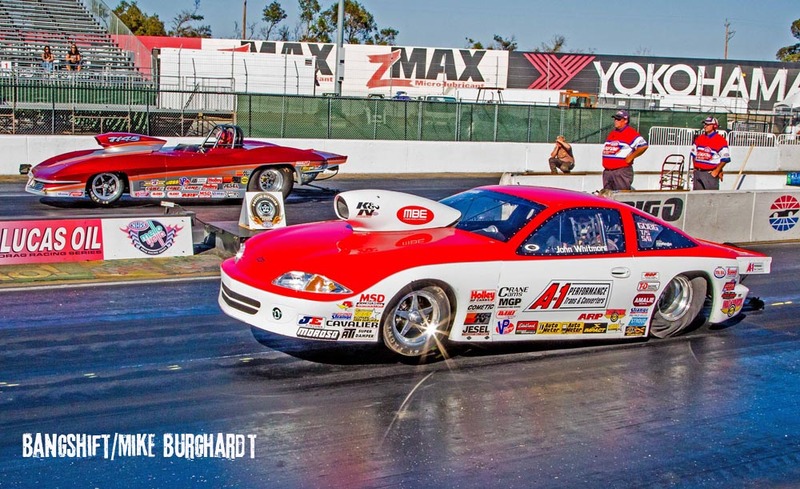 Pacific Division racers head to Rocky Mountain Raceway for a double header in the NHRA Lucas Oil Drag Racing Series, September, 25-26 and 27-28.